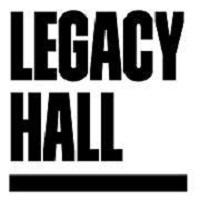 Have you been to Legacy Hall yet? If not, the DBC happy hour is a great chance to check it out! Come network with fellow MBA’s on Thursday, May 31st from 6:00 - 8:30 PM at Legacy Hall located at Legacy West in Plano. Your hosts from SMU and TCU have reserved a private section of the bar on the second floor of the hall. Dallas Business Club is North Texas’ premier professional networking association focused on MBA alumni from 27 renowned domestic and international MBA institutions. Please RSVP by filling out information below - JUST AS YOU WANT IT TO APPEAR ON YOUR NAMETAG. If you want a printed name tag, please RSVP by Tuesday, May 29th at noon. ... a total of 76 guests.